Last Friday, Klein ISD hosted a visit from the American Association of School Administrators, which gathered 18 superintendents and leaders in education from districts nationwide to collaborate and share knowledge with each other. Klein ISD was chosen to host this year because of its future-forward CTE and STEM programs. Jason Learning, a non-profit organization dedicated to “providing curriculum and learning experiences in science, technology, engineering, and math (STEM) for K-12 students, and high-quality professional development for teachers” funded the Superintendents’ trip to Klein ISD. 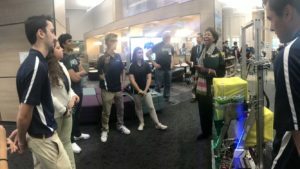 Dr. Champion, Klein ISD Superintendent, launched the visit by speaking about Klein ISD’s Promise2Purpose vision before the superintendents broke off into groups to receive tours of Klein Cain High School and its variation of pathways offered. Valerie Henning-Piedmonte, Superintendent of Schools in Brewster, New York, speaking with members from Klein’s VorTX team. 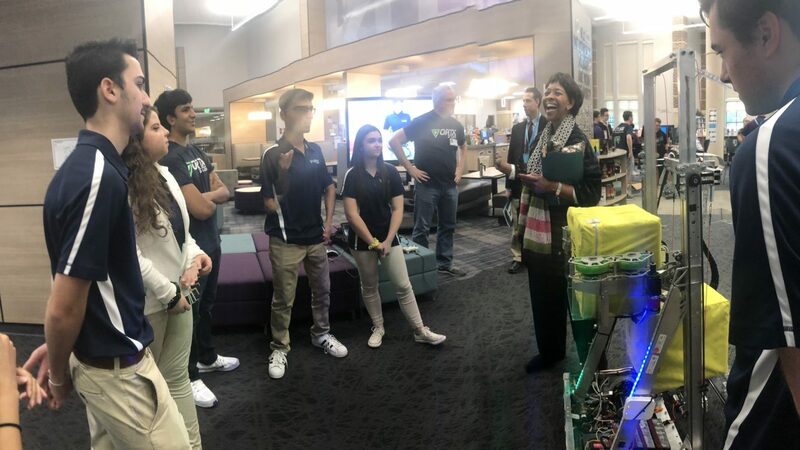 Along the way, the superintendents were able to experience Promise2Purpose first-hand by speaking to teachers, asking students about their chosen pathways and ultimate goals, and learning about student CTE and STEM projects. The superintendents were all interactive and quick to get involved in the multiple classrooms they were taken to on their group tours. One superintendent was inspired by many things today. Klein ISD was honored to be able to meet and connect with these leaders in our nation’s education and was equally proud of the students, faculty and staff at Klein Cain High School for being professional and Promise2Purpose pacesetters.